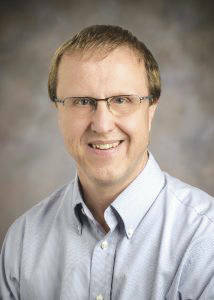 Mark Rich is professor of neuroscience, cell biology and physiology at Wright State University. FAIRBORN — A group of researchers led by a Wright State University Boonshoft School of Medicine professor may have found the first-ever therapy for intensive care unit acquired weakness in patients. The research group headed by Mark M. Rich, M.D., Ph.D., professor of neuroscience, cell biology and physiology, identified a defect in electrical activity of spinal neurons as a new contributor to intensive care unit acquired weakness. In addition to Rich, the research team included Paul Nardelli, of the Georgia Institute of Technology; Randall Powers, Ph.D., of the University of Washington; and Tim C. Cope, Ph.D., of the Georgia Institute of Technology. The researchers found that treatment with lorcaserin, a U.S. Food and Drug Administration-approved medication for weight loss, restored strength in critical illness. Their research was published in the Dec. 17, 2017, issue of Annals of Neurology. The study, “Increasing Motor Neuron Excitability to Treat Weakness in Sepsis,” also was highlighted in Science Translational Medicine in an article in the Dec. 13, 2017, issue. https://www.xeniagazette.com/wp-content/uploads/sites/32/2018/01/web1_Rich-Mark-6-17-214×300.jpgMark Rich is professor of neuroscience, cell biology and physiology at Wright State University.